If you have been looking for a small vehicle to drive through the streets of Mechanicstown, you have probably considered both the 2015 Honda Fit and the 2014 Toyota Yaris. And while they may seem similar at first, when your dive into the details, these two vehicles are drastically different. You can check out the latest Honda Fit in person at Middletown Honda — but first, read about how much more it has to offer than the 2014 Toyota Yaris. 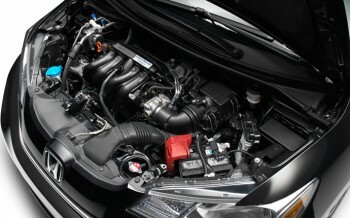 Yaris – The 2014 Toyota Yaris is powered by a 1.4L four-cylinder engine that delivers just 106 hp and 103 lb-ft of torque. Transmission options include a five-speed manual and a four-speed automatic. At its peak, the Yaris can get 30 mpg in the city and 37 mpg on the highway. Fit – The most basic 2015 Fit comes with automatic headlights, a rearview camera, Bluetooth phone and audio connectivity, and a stereo equipped with an iPod interface. The highest-level trim comes with heated seats and mirrors, leather upholstery, and the option to add a voice-activated navigation system as well as satellite and HD radio. Yaris – The entry-level Yaris comes with predictable features like a rear windshield wiper, a tilt steering wheel, and power locks. Going with a higher trim level adds steering wheel-mounted audio controls, updates to the body design, and remote keyless entry. 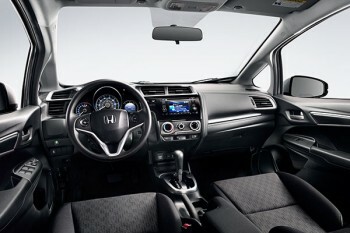 Fit – Maximum cargo room in the 2015 Honda Fit is 52.7 cubic feet. That number rivals some crossover SUVs, and is enough to hold two bicycles. Plus, with the rear seats folded flat into the floor and the front passenger seat folded down, you can haul items as long as eight feet. Yaris – The 2014 Toyota Yaris has 15.6 cubic feet of dedicated cargo space, compared to the Fit’s 16.6 cubic feet; and it has 85.1 cubic feet of maximum passenger volume, compared to the Fit’s 95.7 cubic feet. The space inside the Yaris also can’t be configured as easily or flexibly as the space in the Fit. So let’s break it down: the 2014 Toyota Yaris is slightly cheaper, but the 2015 Honda Fit has more power, more room, more features, better fuel efficiency, and greater variety. For a small difference in price, there is a big difference in quality. To check out the latest Fit in person, head to Middletown Honda at 520 Route 211 E. in Middletown, NY. We are just 5 minutes from Mechanicstown, and easy to find right by Gander Mountain. *MSRP excluding tax, license, registration, $790.00 destination charge and options. Dealer prices may vary. ** 29 city/37 highway/32 combined mpg rating for LX and EX 6MT models. 33 city/41 highway/36 combined mpg rating for LX CVT model. 32 city/38 highway/35 combined mpg rating for EX and EX-L CVT models. Based on 2015 EPA mileage ratings. Use for comparison purposes only. Your mileage will vary depending on how you drive and maintain your vehicle.